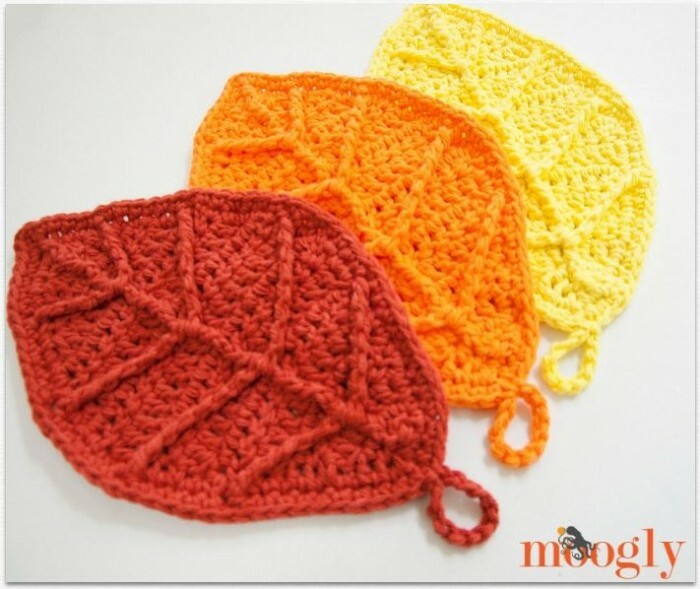 Happy Autumn Leaves: Free #Crochet Pattern on Moogly! The Happy Autumn Leaves are many things! Dishcloths! Wall decor! Centerpieces! Table settings! 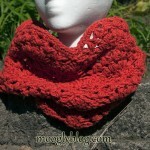 Use the right yarn and they can be anything you wish. The one thing they always are? 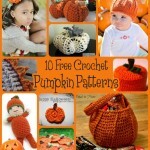 A fun free crochet pattern to celebrate the return of autumn! 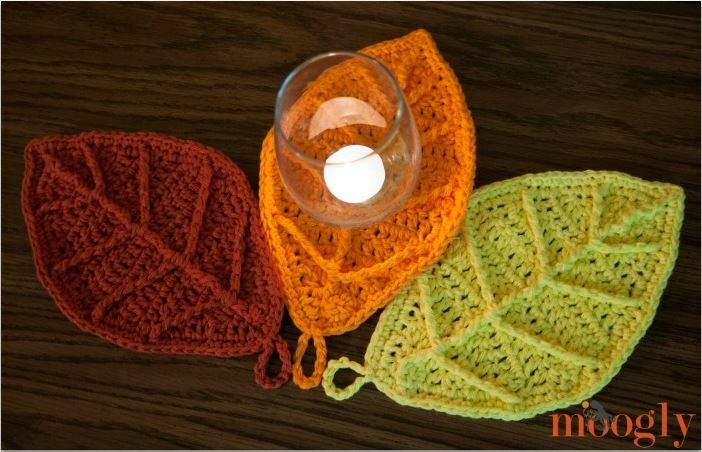 I made my Happy Autumn Leaves in cotton, thinking they’d be dishcloths… but after finishing one, I had to make two more, to use as decor! I love the way these look all grouped together, so very fall-ish. 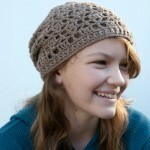 If I had some feltable yarn on hand, I definitely would’ve tried it with this pattern – I think it’d be gorgeous! This is a fun pattern to play with in different yarns and weights – just match the yarn to the hook and see what effects and sizes you come up with! 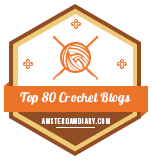 Click on the linked stitches to go to their video tutorials! Note that the instructions for Edging Round 1 are long, so I have broken them up a bit to try to make them easier to read. The long stitches (dtr, quadtr, quintr) have an “fp” in front of them – this indicates that they are to be worked as post stitches, going around the post of the stitch indicated rather than into the top of it. Row 15: Ch 2, dc2tog, bpdc in the next st, dc2tog; turn. (3 sts) Place markers on each end (both sides) of Rows 2, 5, 8, and 11.
sc even to end of round; join with a sl st in 1st sc of the round, do not turn. Edging Round 2: Ch 1, sc evenly along the side to the picot, work 3 sc in the picot, sc evenly along the other side; join with a sl st in 1st sc of the round, ch 12 for loop “stem”; break yarn and seamless join to same st. Weave in ends. And that’st that! I know that first edging round is a bear, but the effect is totally worth it, and really it’s only 8 long stitches and a picot, with a bunch of sc in between. 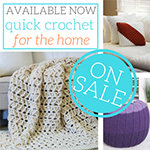 If you’re making it as a dishcloth or washcloth, you can use those long stitches to slip your fingers in while you use it! Or put some silverware in there for your Autumn table. Or just enjoy the fun 3D effect while they decorate your home! 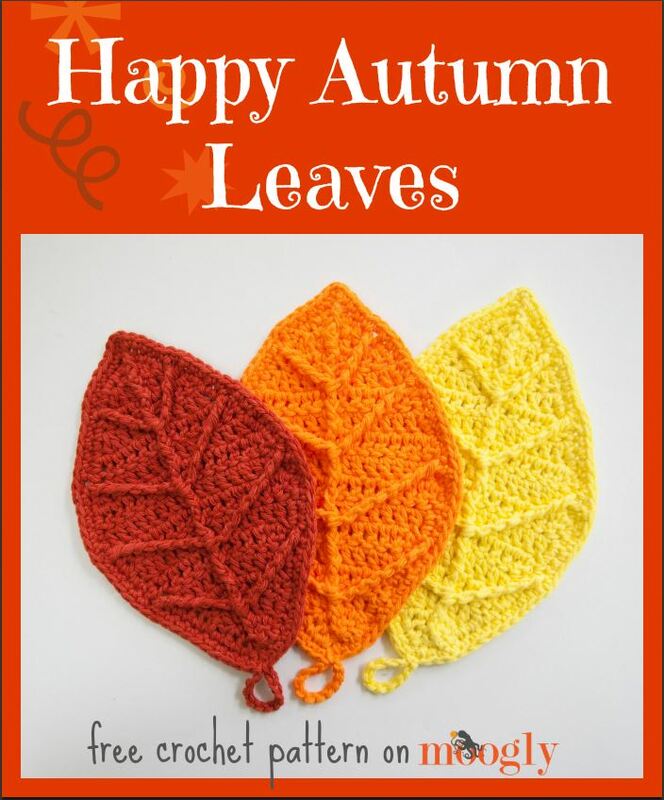 I hope you enjoy making the Happy Autumn Leaves free crochet pattern as much as I do! I think I have some wool yarn and will try to felt one or five. 😀 That would be amazing! Thank you Johanna! 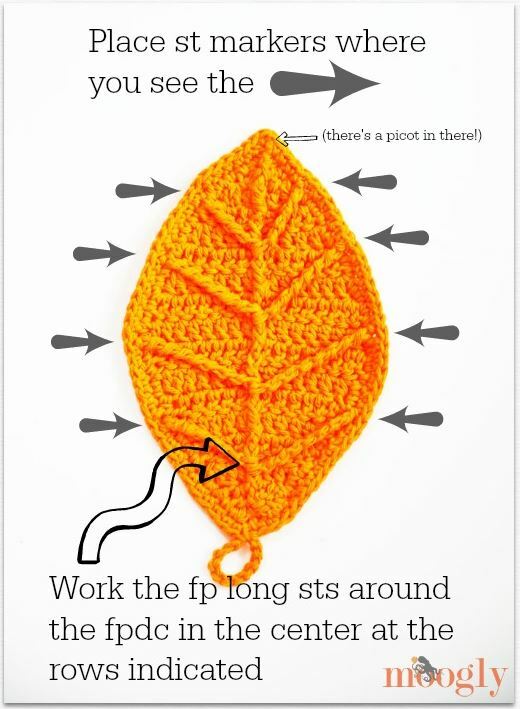 How would you hook the leaves together for a scarf? That sounds really interesting. Thank you so much for this lovely pattern. Just wondering if the post stitches on the back side shouldn’t be BACKpost dcs instead of fpdc? Otherwise, it won’t have a continuous center vein down the middle? I tried as the patter is written and it doesn’t look right but doing fpdc on the front and bpdc on the reverse side looks correct? Ack, right you are! I did it that way and then forgot to write it down! Thank you! I’ve corrected the pattern! So the pattern as written is correct? My first attempt had a center vein that seemed jagged. 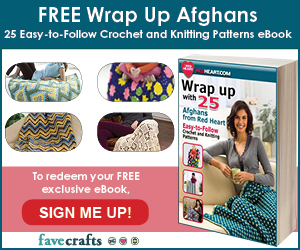 Are the front and back post stitches written correctly on this current pattern? Yes, the pattern is correct. 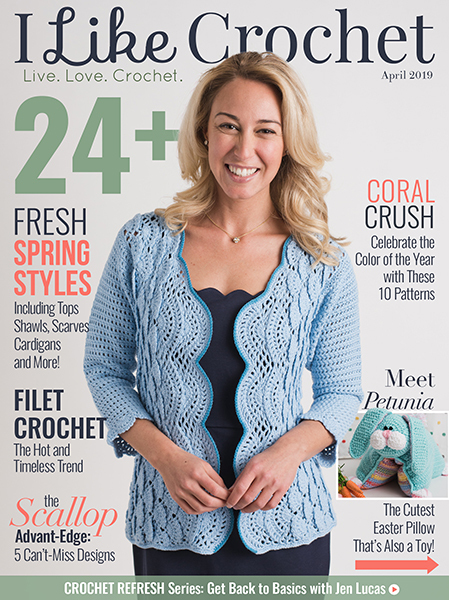 Blocking may help even out your stitches! I am so excited about these. Exactly what I was looking for last year and couldn’t find. 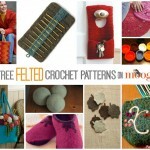 Thank you for all you do to give us all so many great free patterns. Thank u so much forthe wonderful tutorial. I just got a new pattern for a CAL in my group. I love your patterns!!! They are by far some of the best ones I have seen! Thank you for making them free!! 😀 Thank you so much Linda! You’re too kind! Thanks for a lovely pattern. The Autumn chill is here today so I’m organizing some crafting projects and this will certainly be one of the. 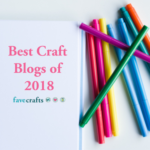 These will be perfect in a garland or as table decorations. Love these leaves. 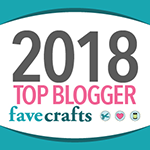 I had the pleasure of meeting you at the yarn bomb in Manchester, NH in July and have been perusing your site on and off even more than I used to. However, these leaves just forced me to write a comment, I am going to start making these right away. Thanx. 😀 Hello Barbara! Thank you so much! I’m so glad I was able to participate in that yarn bomb at least a little! <3 Thank you so much Yvonne! I appreciate you saying so! 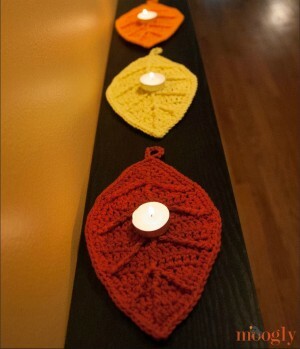 A bunch of these with a few crochet pine cones & berries- Brilliant for an Autumn Wreath….. I love this pattern, it’s the best leaf pattern I’ve seen. I need help though. I can’t figure out Edging 1 for the life of me. I was hoping the pattern would be on Youtube as well because I’m a HUGE visual person. Please help me. 😀 So glad it helped! These work up so quickly – and beautifully – I’m making a set in a variety of colors for our Thanksgiving table to hold utensils. Thank you! <3 I’m so glad you enjoy them Suzanne! Thank you! gracias, me resulta mas facil ya que la traduccion a español no entiendo bien. 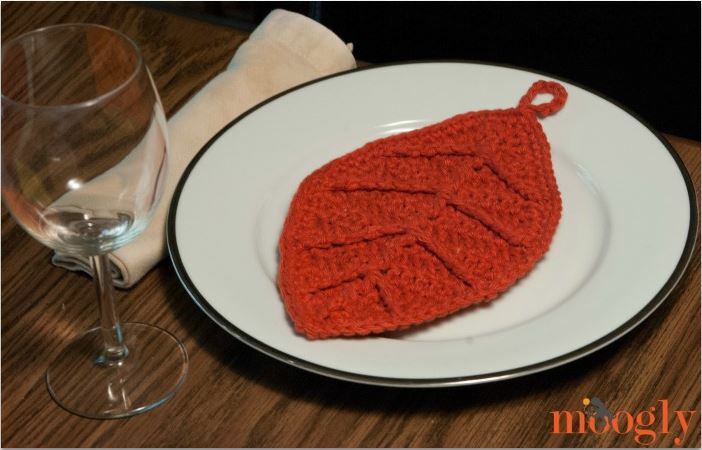 I am interested in making this leaf. However, I don’t see anywhere in the directions how many starting chains you need to make. HELP, please!